It’s become a tradition when the world commemorates that awful event on September 11, 2001. As Facebook warriors take it to their timelines, news channels the world over obediently rehearse the official line stating how 2.997 individual lives came to an abrupt end in the mother of all terrorist attacks. Over the years, entire movements have been created around it, most notable these which do not adhere to the official explanation of these disastrous events. Questions are being asked, politicians probed, pamphlets written. Every once in a while papers have been published by renowned experts. They tend to address flaws in what we have been told. Their examinations in-line with their area of expertise. These papers often are well-researched, well-documented, almost academical examples of a hunt for truth, as some facts being told just do not seem to add up. They hardly can or can not be held up to scrutinising assessment – although they are cast aside by people whom the consequence of a government lie – should it indeed be one – seems to be too great to handle, too far-reaching, too morbid, too destructive for a foundation of emanating governmental good intent they clutch on too. Each year, it always becomes a highly emotional stand-off in which “Truthers” as well as “Believers” question each-other’s ability to approach the subject with common sense. This year’s different though. It marks the first year another weapon of choice has been created mostly to the benefit of the Believers’ argumentation. These persons believing the official story have received the ammunition named “fake news”. 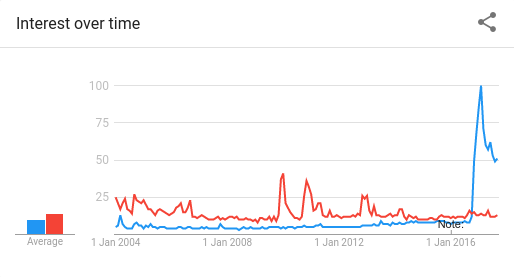 A term which has implicitly existed for decades, but which was only appropriately marketed right after Trump’s election as a quick query on Google Trends immediately shows. “Fake news” has been shot to fame ever since Donald J. Trump’s election to the White House and it swiftly overtook the other dialogue-numbing buzzword of “conspiracy theory”. It’s a marketeer’s dream to launch successful phrases like “fake news”. Somebody out there deserves a pay rise. Mainstream media clearly was of utmost importance to this amazing rise of the generally accepted term. Within one single month, there hardly was an internet-connected individual on the planet not having heard the “fake news” buzzword. While it originally meant to address entirely fabricated stories sometimes created by observant teens keen on a quick cash-in, it has since been deployed to also combat worldviews disenfranchised from the Western one. Fake news like “The Pope Endorses Trump” (which he obviously did not) never was anybody’s worry; it were articles critical, yet accurate analyses of official tales which were. They’re often well-written and abundantly researched. The observation that mainstream media entirely employs and broadcasts the Believers’ take of what happened 16 years ago was influential in the weapon’s success. “Fake news” is used and misused to address observations to the contrary of what our establishment, itself backed by these media, wants us to believe. Fake news has become a stop word – used at any one time by believers when they are asked the same valid questions a rational individual would state when they’d have the time to do so. Fake news ends all to a stronger extent than the previously employed “conspiracy theory” did before. While we have been able to walk in open fields, we have since become entrenched with predefined concepts we’d passionately discuss in bars and bistros before. The moment The Events happened all these years ago, our governments have started curtailing us. The Patriot Act was signed into law, the NSA was given more power, the GCHQ given more funding. Truthers increasingly were ridiculed and government propaganda went into overdrive. We were sold a war in Iraq based on false fronts. We were led to stand-by while Libya was destroyed on erroneous expositions. We stood by while Syria was targeted because of forged fuss. We stood by. Watched in silence as atrocities, ignited by our joint governments got green-lighted. Yet we were upset to see its results. We are numbed. We don’t think ourselves. We believe “Google is our friend“. The open field we were used to wander in, was walled. Barricades literally were built. We have become used to follow what was said. We worry about all new worthless words written by our esteemed journalist writers. And we do even if they regurgitate unsubstantiated lies. We seem to want to not think for ourselves and refuse to make up our own minds. We Google; we know. So that’s where we are: whenever one disagrees with the mainstream idea; we Google. We tend to look at one or two pages of results, click on some headlines and find what we want; we hunt for what reinforces our idea and are oblivious to the concept of cognitive dissonance we blame our correspondent to be guilty of. We do not even read attentively what is brought up, because “we know”. We haven’t been taught reading as we have for years now; we just do not have the time. 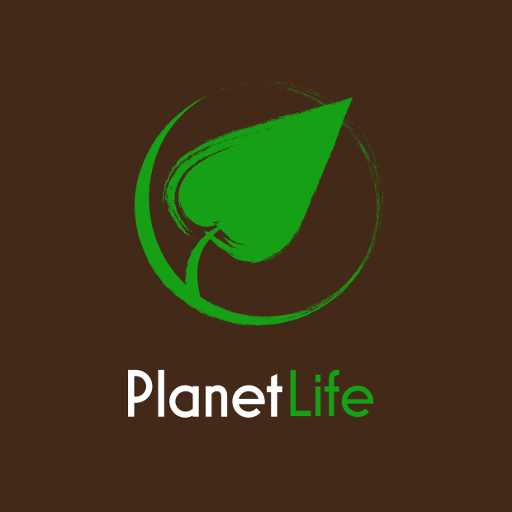 Any which piece of individual content, no matter what, we first Google and browse through our first hits. We click some and find what we “know” and come to the conclusion: “I am right,” Google told me. And that’s the perversity of it all. We are numbed. We don’t think ourselves. We believe “Google is our friend“, while Google, as well as Facebook are on a personal vendetta to ban “fake news” ignited by Trump’s election. Yet both corporations we trust our lives to are not able to handle the additional burden of “fact checking”; they do not have the technology… yet as both are investing millions into providing the “correct” notions of what happens on our planet. Both partner with what they refer to as “third party fact checkers” and have publicly chosen Snopes, Fact Check, ABC, as well as Politifact to help them out. The question of course then becomes: are these sites balanced? Are they up to the humongous challenge of distilling fact from fiction? Will they do so without predisposition and bias? Or will they turn out to be tools to a specific agenda? Giving one specific example, one could deduct it will be the latter. So, are these fact checkers up for it? Do they give us the best and most honest information? 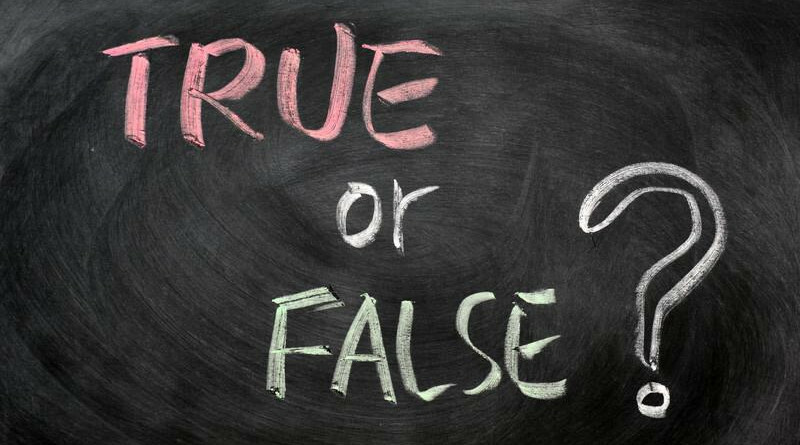 Or is “false” or “fake” slapped onto elements of data while “potentially true” (or “Mixture” as Snopes labels them) would be a better fit? While Snopes’ history and intent are to be commended, the danger of quick decision-making lurks, and its users sometimes are veered into a single-word verdict of complex matters. Last year, questioning what happened on 9/11, the European Physics News magazine published a story entitled: “Fifteen years later: on the physics of high-rise building collapses“. The document, written by experts in their fields as is visible on its last page, addresses some blatant inconsistencies in the official NIST analysis of exactly why three high-rise buildings came down as if by controlled demolition on 9/11. Snopes’ arguments leading to their influential “FALSE” label ring hollow. It purports that in the history of raging fires in high-rise buildings not a single one ever was as structurally weakened as to effectively turn to dust because of it. The professors and engineers having drafted the document wrote about 5 pages packed to the brim with questions, citations and examples to make any well-thinking individual at least wonder “what if this is right?”. However, Snopes addressed it; Alex Kasprak labelled it “false”. Mr. Kasprak is a science writer and journalist and has a master’s degree in geological sciences, but he is not a structural engineer as are some of the authors of the document. Nevertheless is his “debunking” of the document now being used by believers as confirmation of the official explanation. The complete document now does not warrant a further read anymore, as its contents have been branded: “FALSE”. Is Snopes that good at fact-checking? Based on what exactly? Reading through the Snopes article not a single glaring omission in the document is identified in order to blatantly label it “false”. Mr. Kasprak notes that the article is not peer-reviewed and he is right, but, neither was the NIST report while the writers of this document do call for a “truly scientific and impartial investigation by responsible authorities” in their last line. Given the critique on the NIST report, that too can not be called scientific nor impartial. He mentions that some of the authors of the document are “Truthers” and that may very well be, but does belonging to one group or another automatically mean you say or refuse to state factual information? Belonging to a group can not be held as “proof” that any which conclusion you draft, is automatically false, can it? When Mr. Kasprak does start addressing some of the significant allegations, he debunks it 4 out of 5 times by going back to the NIST-source which is called into question in the first place. A disputed statement does not become true nor FALSE by merely repeating it, does it? No. Certainly in this case, Snopes’ arguments leading to their influential “FALSE” label ring hollow. Not a single individual argument lives up to sceptical analysis, while the combined text does not live up to scrutiny. With the above it should be clear that third party fact checkers have their limits. While any which approach to elicit critical thinking should be applauded, the dangers of having that done for you instead of by you loom near. 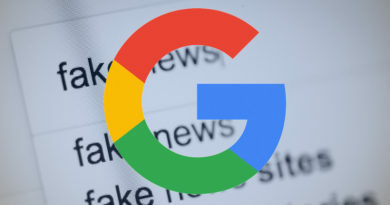 We already have learned that Google implemented algorithms targeting some independent news outlets for being “conspiratorial” and Facebook pursues similar technology as well. It is worrisome that the third-parties they employ make glaring mistakes and we should all hope that they do not do that to serve an agenda. Google and Snopes might have been our friends before, but they seem to be slowly evolving to a dangerous apparatus which we are better left without with. Provided we all start thinking for ourselves again – and certainly if we don’t. 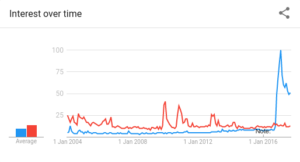 Given Google will not implement a search argument like “in:alt” any day soon which would allow us to discard “mainstream” results, Planet News has documented a nice little work-around.